One day when I was in the third grade, I told my mom I wanted to have lunch at home. She said OK. (I know most people who are younger than me won’t believe this, but it’s absolutely true. When I went to school, we could go home for lunch.) At the start of the lunch period, I told my teacher I was going home. She said OK. And I went home. When I headed back to school, I took my usual route. I walked to the end of the street, stepped onto the grounds of a church, and went to the back of the building where the church and my school shared a gate. When I got to the gate, I found two boys — one was my age, and the other one was one or two years younger — standing on the church’s side watching the kids playing in the schoolyard. I stopped to talk to them. They told me they were moving from Colorado to Oregon; their parents stopped to visit relatives, who lived at a house close by (from my experience, I’ll bet money the parents said to the older boy, “Go for a walk and take your brother.”); and they wanted to go on the school grounds to play, but they knew they couldn’t. In a flash, I realized the three of us could play at the church — we could go sliding. All we had to do was take ten steps from where we stood to a concrete ramp the church custodian used to drive the lawnmowers into a storage area under the church. When my new friends and I started playing, the schoolyard was full of kids, and the air was filled with their voices. The next time I looked toward the school, the schoolyard was empty, and the air was filled with the sound of a breeze. The sight and the stillness scared me. I knew if I walked into my classroom late, everyone would stare at me, and my teacher would quiz me. I couldn’t face that, so I went home. When I walked through the front door, I told my mom I got sick and threw up. (This is one of the greatest deceptions in the human experience. (Moms cannot prove or disprove stomachaches, and they will not go outside to look for a kid’s vomit.) My mom called the school; she had a short conversation, and when finished, she told me I had to go back to school. When I walked into my classroom, everything I imagined would happen did happen. Then my teacher made matters worse by telling me I had to go to the principal’s office. “What’d you do when you came back to school?” my principal asked. “I met some boys at the church, and we slid down the ramp,” I said. I had no idea why my principal wanted to know if I was in or near the third-grade boys’ restroom, but the next week, I got a phenomenal surprise. Three times a week, I was excused from my class to meet with a woman who smelled good and who was interested in everything I had to say. The woman asked me 500 questions and wrote down all my answers; she gave me simple tests; she played games with me; she gave me comic strip panels and had me put them in the right order — so they told a story; she took me for walks. Ninety days later, my sessions with the sweet-smelling, attentive woman ended, and once again I had to spend every school hour contending with annoying classmates and a cantankerous teacher. What did I do? I started breaking the rules. I started breaking the rules, so I could get out of class to spend time with that woman. But all I got was a trip to the principal’s office, and another trip to his office, and another trip to his office. I didn’t find out why I couldn’t see the woman, again, until yearbook day in seventh grade. I handed my yearbook to Stewart. When Stewart finished writing his message, he handed me my yearbook and promptly walked away. I looked down at the page and read, “I still think you started the fire in the third-grade bathroom.” Instantly, I knew the day he was referring to. I became enraged, and I chased after Stewart. “What do you mean?” I demanded. “You were, too, and I know it was you,” Stewart said and walked away. The first emotion I felt was astonishment. Up to that day, no one told me everyone thought I started a fire. My principal didn’t, my teacher didn’t, my classmates didn’t, my psychologist didn’t (it took me a long time, but I finally figured out what the woman was), my parents didn’t, my siblings didn’t, my friends didn’t, and my neighbors didn’t. The second emotion I felt was shame. How could anyone think I started a fire at school? So, I went searching for an eraser. Even though Stewart wrote his message in ink, I worked at rubbing out his words so no one could read them. All I had to do was drop a match into the garbage canister in the restroom? No way! I couldn’t do that. Whoever did it, . . . thank you . . . thank you . . . thank you. 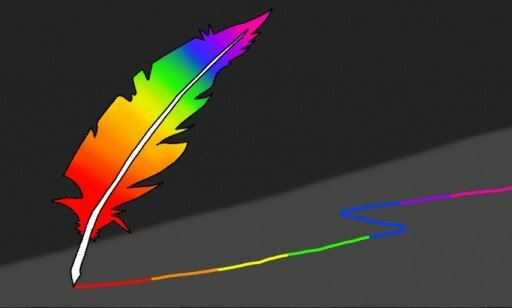 Gay Writes is a DiverseCity Writing Series writing group, a program of SLCC’s Community Writing Center. The group meets the 2nd and 4th Mondays of each month, 6:30–8 p.m., 210 E. 400 South, Ste. 8.